I love this time of year. I love the snow. I love Christmas! I love the lights, decorations, presents, and fireplaces. I love to drink hot chocolate and eat cookies with family and friends. I love to get presents! Don’t you? I especially love giving gifts or presents. 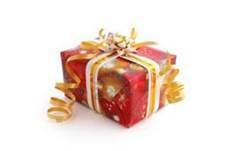 Can you think of one of the best Christmas presents you ever received? Was it wrapped? Did it have pretty paper and a bow on it? Maybe it was too big to be wrapped and was unwrapped. I remember special presents I have received. One year, when I was a child, I got a "Chatty Cathy" doll. When I got older, I got a bicycle. When I was grown, one year my husband bought me my first cell phone. This year, I got one of the best Christmas presents or gifts and it was early! I got the gift of family coming for a visit to see me. Two of my children with their families, nine of them all together, came to stay with me and my husband for a few days. On top of that, they showed me a picture of my newest grandson who will be born in May! I am so excited! That is a wonderful gift! Let me tell you about a very special gift which is the greatest of all. God sent His only Son to become human and be born. We celebrate His birth this time of year at Christmas. Wow, what a perfect and special gift! Jesus is God, He has always existed. He created everything, all the plants and animals and everything else we need to live. He breathed life into us. Do you remember Adam and Eve in the beautiful garden God made at creation? He loved them so much He made it beautiful for them. He gave them all things to eat. He gave them dominion over all the animals. Dominion means being masters over. Adam was given the responsibility to name all the animals, like elephant, lion, and ant. Adam and Eve lived in a perfect environment of beauty and peace. There was no death. They didn’t need to be afraid of the animals. Remember I said they could eat all things? Well, there was a tree God said not to eat from. You see, God made us with a mind and a will of our own. We are not robots. We can think and make up our own minds. We can decide to obey or disobey. Eve, then Adam, disobeyed God by eating from the tree God had told them not to. They disobeyed God! This broke the perfect relationship they had with God. At that moment, they became sinners and separated from God. As a picture of their sin and the payment for the forgiveness they would need, God took a lamb and sacrificed it. He spilt its blood and took the skins and made a covering or clothes for them. He also kicked them out of the garden forever. That was a picture of not being able to enter heaven because of sin. From that time on, all have sinned. We (you and me) are sinners. We were born with sin natures. That means we sin. Sin is anything in word, thought, or deed against God and His laws. Lying, stealing, saying bad things, and not obeying our parents are sins. We are sinners, therefore we cannot enter into heaven. Heaven is where God lives and He is perfect or holy and cannot allow sin into His presence. God loves us and wants us in heaven someday. So, He made a plan or a way for us to be able to get into heaven. Sin needs to be paid for, like in the garden, when God killed a lamb and spilt its blood as a picture of the covering or forgiveness of sin. We sinners need someone to die and spill their blood to wash away or cover our sins. I cannot do it, you cannot do it. It needs to be by someone perfect or without sin. There is no one perfect. That person would need to be God in order to be perfect. Oh no! What can we do? God knew what needed to be done. God sent His Son Jesus, who is God, to be born. God became man but kept His perfection and grew up to die on the cross, spilling His blood for our sin. That, boys and girls, is a wonderful gift! God gave His son to be born, grow up, and die on the cross for you and me. Do you think God loved His Son? Yes He did. Do you think it hurt God to let His Son die? Yes it did! 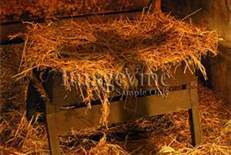 Jesus willingly came to earth to be born. He willingly grew up and died on the cross to pay for your sin, my sin, and the sin of the whole world! What a wonderful gift! Jesus gave Himself as a gift or present for us. He died so you might live with Him in heaven someday. We do have something we need to do, though. The gift of Jesus’ death for us is free, but we need to accept it. Remember I said God made us with a mind and a will of our own? We make a choice. We can choose to accept Jesus’ gift of Himself dying for us, or we can reject Him and His gift. One day, I wrapped up a beautiful package. I had gone to the store and bought a beautiful doll. She had long black hair, blue eyes with long lashes, and a pretty smile. She had on a pretty blue dress with a matching ribbon in her hair. She came in a pretty box too. I wrapped it in beautiful shiny red wrapping paper and attached a gold bow. It was a very pretty package. I took this to a woman who I had heard was in the hospital. In the hospital people smiled when they saw the pretty red present. I went to the woman’s hospital room carrying the pretty package. I found the woman sitting in a chair in her room. She was getting better and would be able to go home in a few days. I introduced myself to her and said I had heard she was sick. I told her I wanted to give her this gift. I smiled and handed it to her. She turned her head away and said she didn’t want it. I explained again that it was a gift, with no strings attached, it was free. I said I saw it in the store and thought she would like it. She still shook her head and said she didn’t want it. I left with the beautiful package containing a pretty doll. I was sad she didn’t want the gift. We are like that woman. We have a choice. We can take the free gift or reject it. Salvation, what Jesus did on the cross by dying for us in our place, is the free gift. We can accept Jesus and what He did, or we can reject Jesus and think we don’t need or want the free gift of salvation. When Jesus was born, special things happened. Let me remind you of what happened that night long ago. Jesus was born in a stable where cows, horses, and donkeys sleep. Mary, Jesus mother, tightly bound Jesus in strips of cloth and laid him in a manger. A manger is the dish the animals eat out of. An angel told the shepherds where and how to find the baby Jesus. They went there as fast as they could. When they found Jesus they kneeled down and worshipped Him because they understood He was God. When Jesus was a few years old, wise men or magi came from the East to find Jesus the Messiah. They knew about Jesus from hearing stories about the Messiah coming. These stories were passed down through the generations. They saw the bright star and followed it to where Jesus was living at that time. They brought with them presents of gold, frankincense, and myrrh. These were very costly or expensive gifts. You know what gold is. Frankincense and myrrh were special ingredients in perfume, incense, and medicine. When the wise men saw Jesus, they fell down and worshipped Him because they realized He was God. Then they gave Him their presents. Jesus came as a fulfillment of scripture or prophesies of the Old Testament in the Bible. Prophets proclaimed the Messiah would one day come to save His people. Jesus came as a gift to all people. He was a gift given by His Father, God. Jesus chose to give us His life as a gift to all mankind. Have you chosen to accept Jesus’ gift of salvation? We celebrate Christmas because Jesus came to be born for you and me. Jesus was the very first Christmas gift. 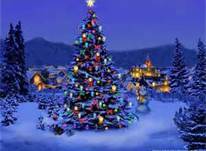 I hope you have a wonderful Christmas and remember why we celebrate and what the real meaning of Christmas is. It is Jesus' birthday! Happy Birthday, Jesus!